The Internet is abuzz with the news that Netflix’s streaming titles are seeing some dramatic changes in May, with the online service set to lose a whopping 1800 titles during the month. More than 1100 of those titles are already gone, as they were set to expire on May 1, based on data from InstantWatcher.com, a Web app that uses the Netflix API to track catalog expirations. Pitchforks are out! Torches are being waved! Curses are being uttered! But is it really such a big deal? Let's take a peek at what's going away, first of all. Among the major movies that disappeared Wednesday are James Bond titles such as Dr. No and A View To A Kill, as well as classics such as the 1979 version of Black Stallion. At the end of the month, Netflix may also lose South Park seasons 1-15 and a number of South Park special compilations such as South Park: The Cult of Cartman. Most of the titles disappearing aren't gems, however. Alongside the few classics are a vast trove of schlocky titles such as Daughters of Satan (1972), starring a pre-Magnum P. I.Tom Selleck. The big change in the Netflix catalog was called "Streamageddon" by Slate. The culture site noted the Netflix dump includes titles from Warner Bros—some of which may end on the new $10 per month Warner Archive Instant streaming service—and pre-1986 titles from MGM and Universal. A Netflix spokesperson told TechHive that "The vast majority of the titles that expire on Wednesday are older features that were aggregated by Epix." The two online video services reached a deal in 2010 that gave Netflix the ability to stream titles licensed by Epix until September 2013. Netflix also has an option to extend the Epix deal until September 2014, according to Reuters. Later in May, more titles will evaporate as part of Netflix’s streaming deal with Viacom. That agreement gave Netflix access to titles from Nickelodeon, BET, and MTV. Netflix announced the expiration in its letter to shareholders in late April for the company’s Q1 2013 earnings. At the time, Netflix said it was in discussions to continue licensing specific Viacom shows but had yet to reach a deal. If no agreement is reached, that purge will hurt much more than today's. 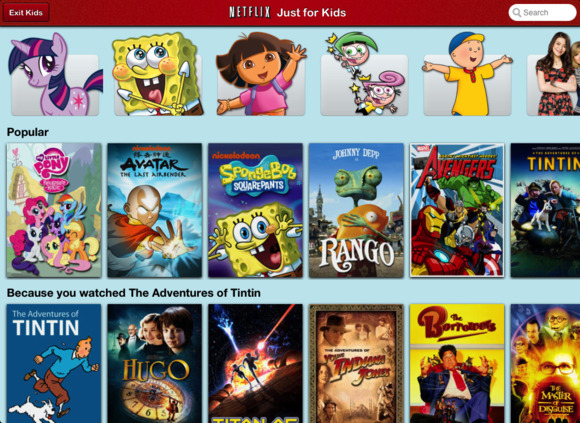 Many families turn to Netflix for commercial-free Dora the Explorer and SpongeBob SquarePants needs. While a large number of titles are disappearing, Netflix says the catalog switch is routine. Representatives pointed out that Netflix Instant recently added newer movies to its streaming selection, many of them from Epix itself.The Hunger Games, ParaNorman, Safe, and Bachelorette all debuted on the service in recent weeks, and Mission Impossible: 2 is but one of many shows being added to Netflix Instant today. "Netflix is a dynamic service, we constantly update the TV shows and movies that are available to our members," Netflix spokesman Joris Evers wrote in an email to TechHive. "We will add more than 500 titles May 1, but we also have titles expiring. This ebb and flow happens all the time." 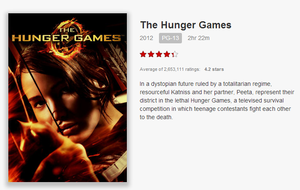 Netflix's data-driven approach to content curation is evident in today's purge. While the sheer volume of titles being scrubbed in May gives one pause, going through the list reveals few killers and a lot of fillers. That falls in line with the company's intentions: Relying on its deep-user data-treasure troves, Netflix has said it doesn't want to pay for shows nobody watches, and instead wants to become "an expert programmer, offering a mix that delights our members, rather than trying to be a broad distributor." That said, "Streamageddon" also highlights why companies such as Netflix want to offer their own original programming instead of being at the mercy of major movie and television studios for content. Netflix has recently rolled out Hemlock Grove, a supernatural horror show from Hostel's Eli Roth, as well as the acclaimed House of Cards, a political thriller starring Kevin Spacey in the lead role. Other original series, including Arrested Development Season 4, Orange is the New Black, and Turbo:F.A.S.T., an animated series by DreamWorks, are slated to debut over the coming months. User data plays a role in Netflix's original content, too. The New York Times recently detailed how Netflix pores through viewing data to determine which original shows get a green light. For example, the service knew that subscribers loved Kevin Spacey, director David Fincher, and the British version of House of Cards before producing the U.S. adaptation. 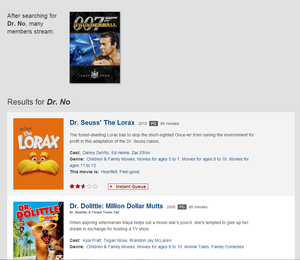 Rather than filling our queues with crap, Netflix is actively trying to give us what the data says we want. The gamble seems to be paying off: the number of U.S. streaming Netflix subscribers recently topped HBO's user base. Does Streamageddon hurt? It all depends on how you look at things. But if nothing else, it drives home the point that you shouldn't rely on streaming subscription services for content you want to be permanently available.